A leading dental academic and clinician from Plymouth University, Professor Elizabeth Kay MBE, has played a key role in a draft quality standard to improve oral health in care homes and hospitals published today (Friday 6 January 2017) by the National Institute for Health and Care Excellence (NICE). The draft standard calls on care homes to assess the oral health needs of their residents and record these in personal care plans. Residents should then be supported to clean their teeth twice a day or their dentures daily. AGE UK estimates 426,000 people live in care homes, approximately 405,000 of whom are over 65. 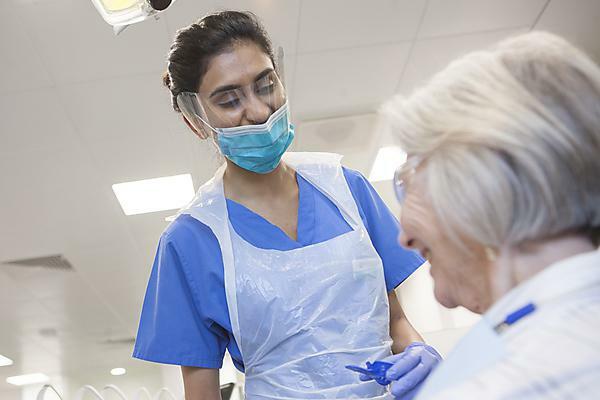 A report from Public Health England suggested just 61 per cent of care homes in the West Midlands carry out oral health assessments on admission and 77 per cent of care homes in the North West include oral health in the overall care plan. NICE, with The Social Care Institute for Excellence, has produced a quick guide resource for care home managers to help them improve the oral health of adults in their care homes. The draft quality standard also asks stakeholders to highlight any evidence-based guidance that could be used to develop a statement on daily mouth care in hospitals. Consultation on the draft quality standard for oral health in care homes and hospitals is open until 3 February 2017.